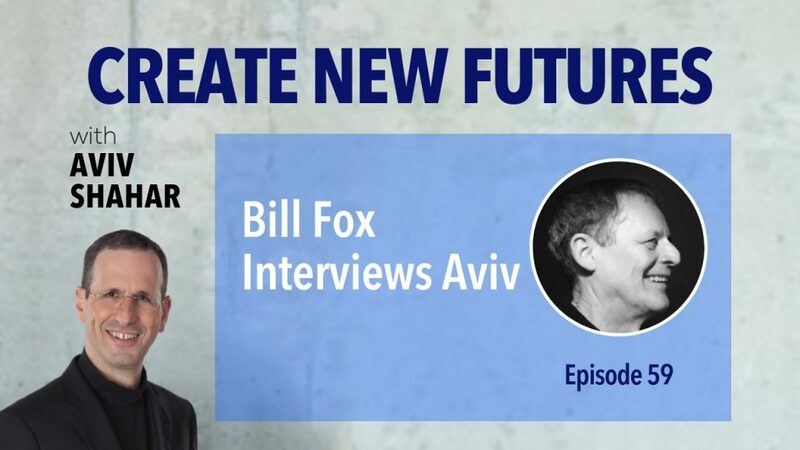 In this very special episode, Aviv switches roles and becomes the interviewee as Bill Fox asks poignant questions on leadership, vision, and innovation. Aviv lists the seven evolutionary developmental blockages that we as a society have to overcome. He talks about the importance of conversation and the impact they can ultimately have on creating new and exciting futures. Finally, Aviv urges the audience to appreciate how precious life is and challenges them to seize every opportunity life has to offer. [07:04] – Aviv answers Bill’s first question: How can we create work places where every voice matters, everyone thrives and finds meaning, and change and innovation happen naturally? [18:47] – Aviv answers Bill’s second question: What does it take to get an employee’s full attention and best performance? [20:59] – Aviv answers Bill’s third question: What do people really lack and long for at work? [25:25] – Aviv answers Bill’s fourth question: What do you think is the most important question leadership or management should be asking their employees or followers? [26:20] – Aviv answers Bill’s fifth question: What is the most important question employees should be asking back to leadership and management? [27:03] – Aviv answers Bill’s sixth question: What is the most important question we should be asking ourselves?